Big Winter SALE open online January 1st 2013! the heart of Ashdown Forest. Our workshops are set in the dance studio of the hotel’s luxurious spa. You can use the spa facilities before, during the break or after the workshops at a specially reduced rate of £10 (normal rate is £25). There is also a wonderful cafe for lunch or tea. 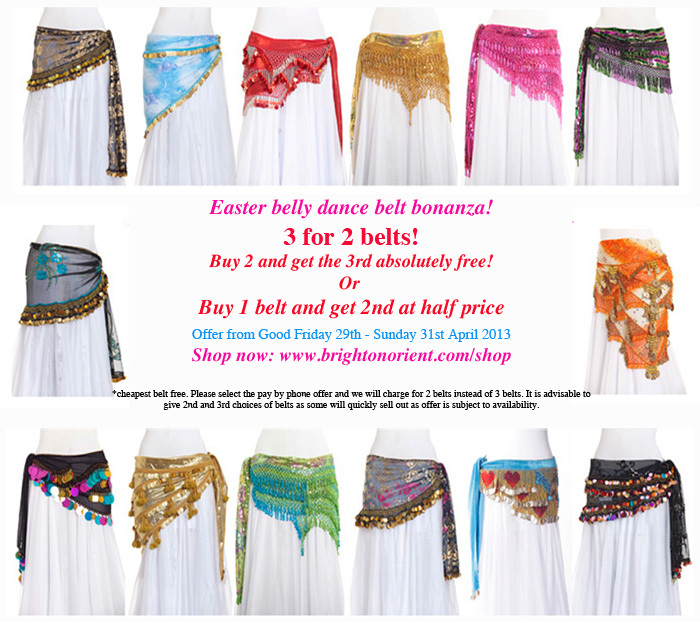 Learn these smooth combos', suitable for all levels, incorporating the gypsy shawl instead of a veil. Build on your Gypsy repertoire or enhance your existing choreography. DO BOTH WORKSHOPS AT THE VERY SPECIAL PRICE OF £20!!! Storm has performed and taught dance for 30 years. She started with traditional belly dance but then moved to Canada and after an intense period of study, joined the Diana Callenti Dance Company where she specialised in the cane dance. 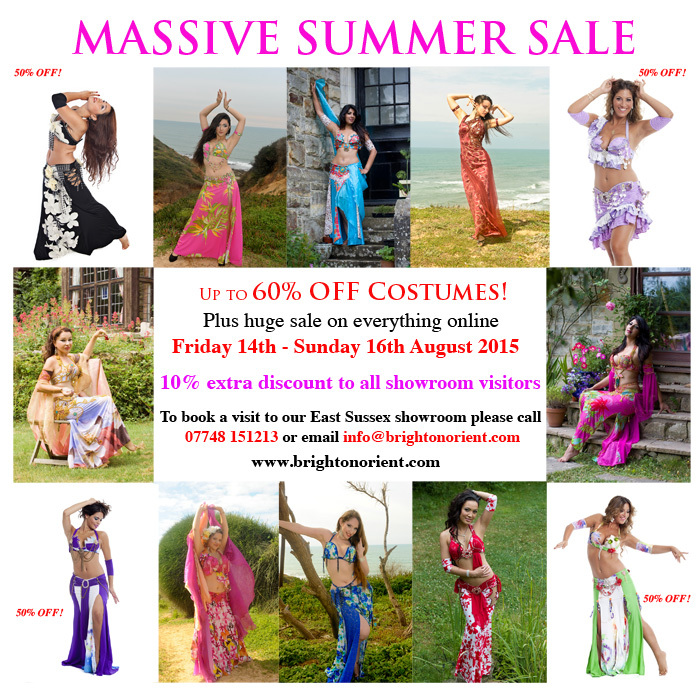 For the last 9 years she has taught Tribal Fusion, Belly dance Burlesque, Gothic belly dance and Gypsy belly dance. do come visit us and be decorated to perfection! 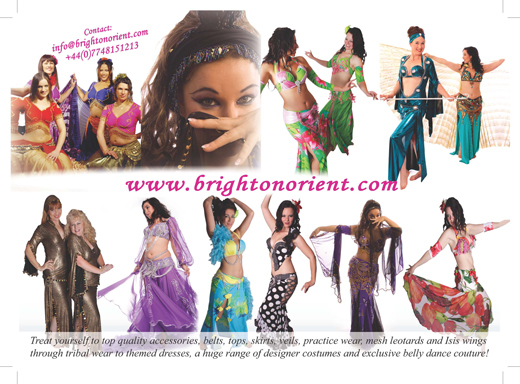 Our Sussex showroom is always proud to offer you a rich selection of outstanding quality couture costumes & practice wear! Shopping with professional and personal attention whilst enjoying tea, cake, and dancing to funky music! We are conveniently located about 45 minutes drive from Brighton or South London. If coming by public transport: please contact us and we will be happy to arrange transport from East Grinstead station (which is just 55 minutes from London Victoria) or from Haywards Heath (which is just 15 minutes from Brighton station). We look forward to welcoming you here & to decorating you!!! If you can’t make the sale, a private viewing in our fabulous show room can be booked for a time to suit you. We are conveniently located less than an hour's train ride from London Victoria and apx. 40 minutes train ride or drive from Brighton! 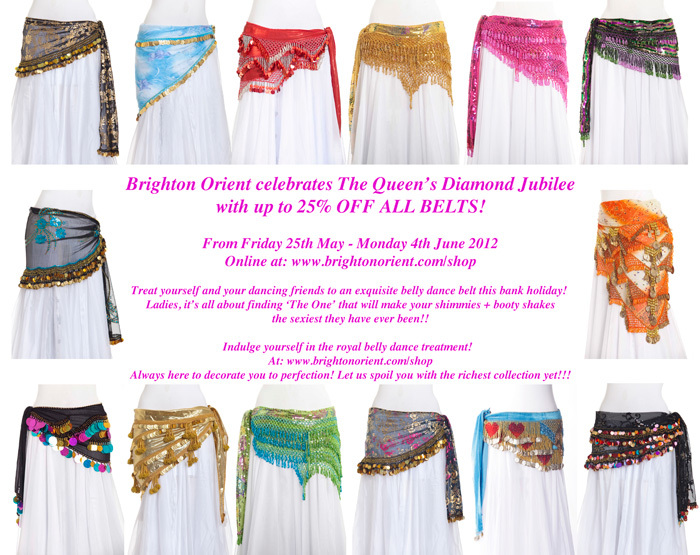 Our huge selection of belts has been raised to a whole other level, sequins, spangles...The works! 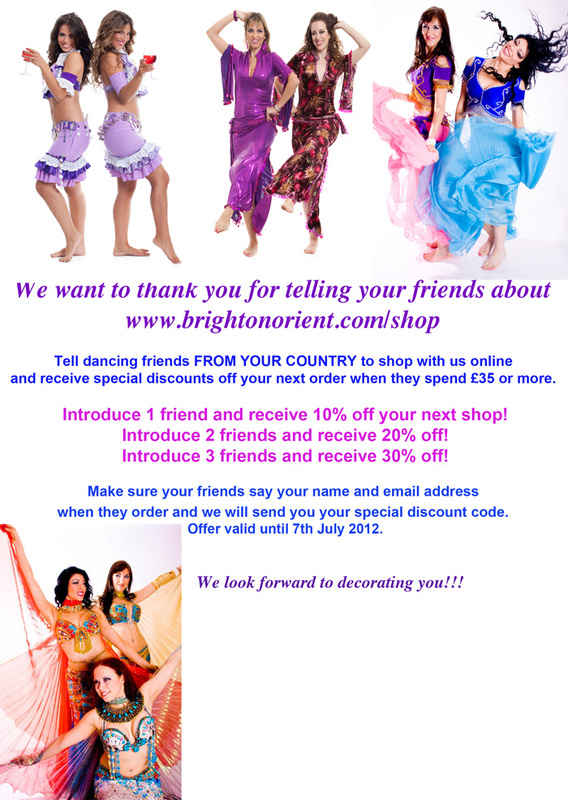 We aim to bring you the latest fashion to make you feel and look fabulous!! Galabias that will leave your audience gazing after you long after you have left the stage... ;) Tops and skirts that come in every colour of the rainbow!! 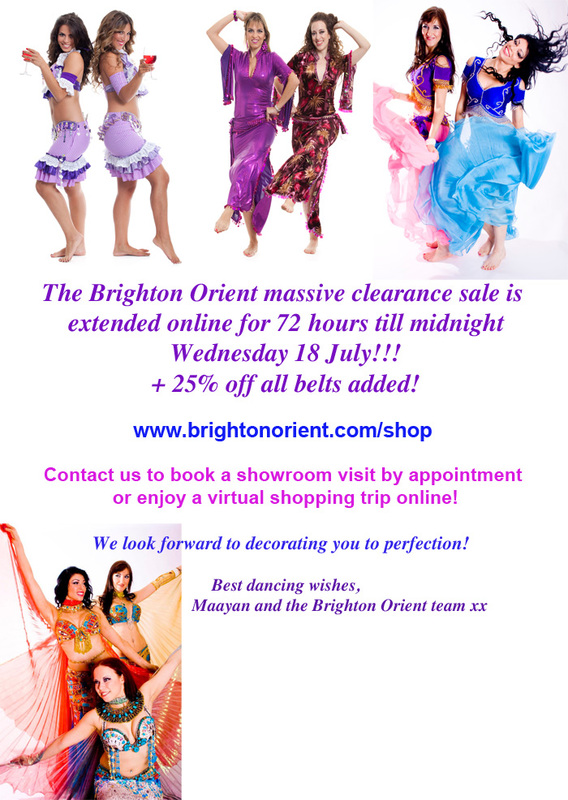 So if it's a special practice piece that you're after, or that incredible costume to make you look hot as fire, visit us online or at our beautiful sussex showroom where you will be treated with the patience and guidance you deserve to help you fullfill all your dancer's needs! We look forward to decorating you in 2012 & beyond! If driving: Please phone us on Tel: 01342 810929 Mobile: 07748 151213 to be directed from the shop car park as sat nav will not get you to us but to the shop which is less than a minute away.